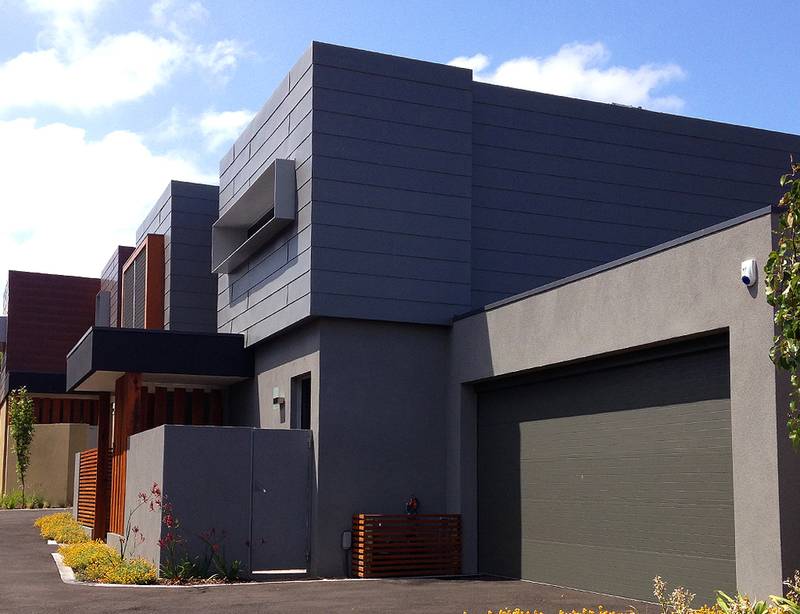 Designed by Peddle Thorpe Architects and constructed by Comdain Homes, this elegant residential complex comprising of eight units has been built with an emphasis on low energy consumption and low maintenance. 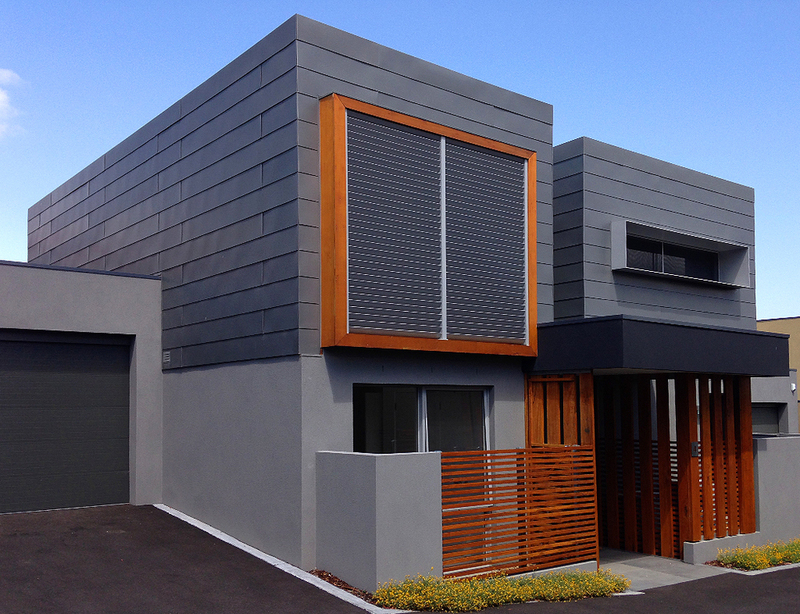 The modular housing concept has been successfully applied to achieve a modern design where natural light flows freely between indoor and outdoor living spaces thus creating a high quality living environment while keeping the building costs down. 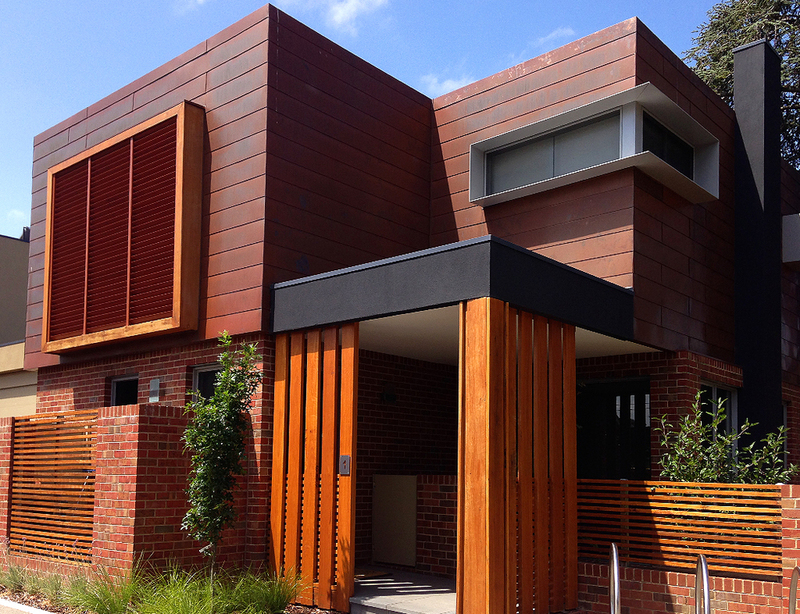 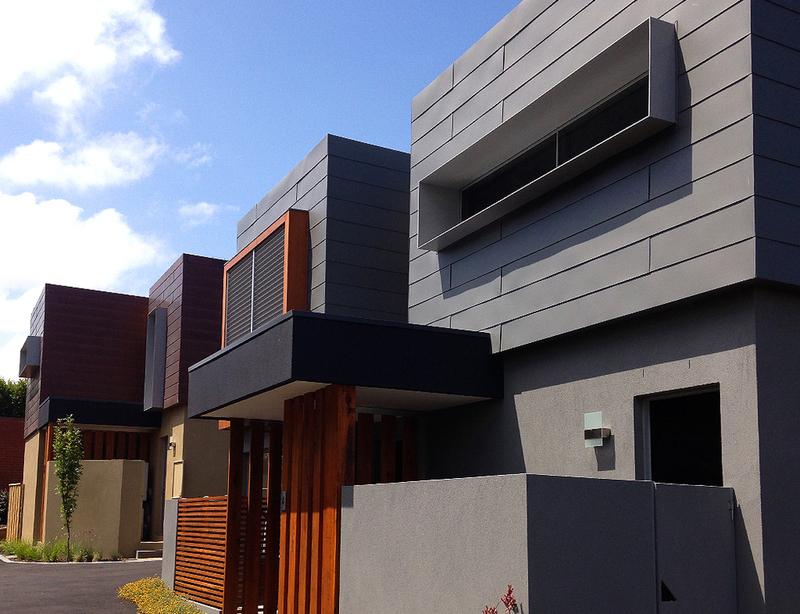 The cladding solutions offered by Architectural Cladding Australia Pty Ltd responded successfully to the required long-term warranties, hermetic weather proofing and thermal inertia criteria as well as enhancing the modern look of the residences. 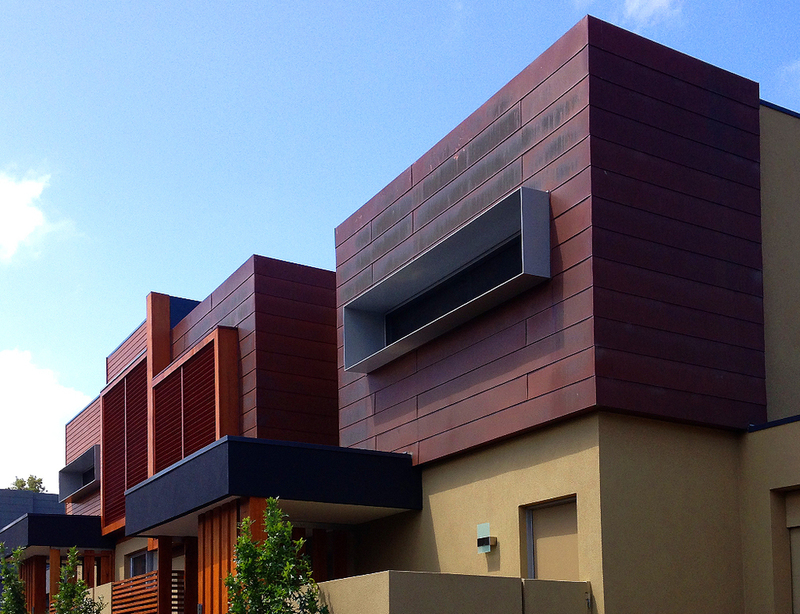 Two materials were chosen to add different character to the units: mill finish Copper and VM Zinc Quartz both in the Flat-lock Panel system.